It's common sense that increasing the efficiency of irrigation by lowering evaporation and leakage would result in more water being returned to the environment. But in a Policy Forum piece in the journal Science, Australian and international experts argue that increasing efficiency simply results in more water being used on farms and less being returned to the environment. The issue is especially relevant for Australia in the context of ongoing drought in large parts of the country and the need to maintain the health of the Murray-Darling Basin river system. Below Australian experts respond to the argument. A new study led by The Australian National University (ANU) has found government policies around the world that aim to reduce water consumption through improved irrigation efficiency in agriculture may actually be having the opposite effect. Lead researcher, Professor Quentin Grafton of the ANU Crawford School of Public Policy, said the research shows increases in irrigation efficiency have actually reduced water availability, and increased water consumption in many countries. “Governments are pouring billions of dollars into making irrigation more efficient, with disastrous consequences for freshwater availability,” Professor Grafton said. “If we want to avoid a global water crisis then decisive action needs to be taken now. The research found increases in irrigation efficiency may result in greater on-farm water consumption, groundwater extractions and even water consumption per hectare. This occurs because of increased water use by existing crops and a switch to more water-intensive crops which can provide greater economic benefits from controlled water usage. Water scarcity is one of the major issues facing the world and in 2015 was listed as the largest global risk in terms of potential impact over the next decade by the World Economic Forum. Professor Grafton has called on policy makers in Australia and around the world to take urgent action or face a global water tragedy. He and his co-authors show proper water accounting is a necessary and critical first step towards resolving this global water challenge. Without it, the Sustainable Development Goals set by the United Nations in 2015 will not be achieved. 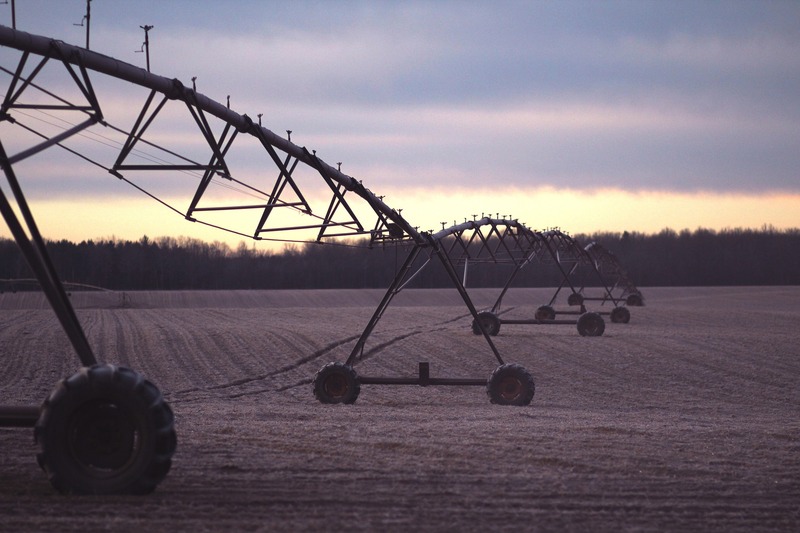 “This research shows current irrigation efficiency policies must change to include farm and basin-scale water accounting and limits on irrigation water diversions,” he said. Co-author Professor John Williams of the ANU Crawford School of Public Policy highlighted this was an international issue. “Tragically, comprehensive water accounting is not happening in most parts of the world, including in supposedly world leading nations in water management, such as Australia,” Professor Williams said. The research involved a multi-disciplinary team of 11 scientists and economists from eight countries, seven universities and three world-leading research organisations. A copy of the paper, The Paradox of Irrigation Efficiency has been published in the journal in Science. The importance of accounting for the adverse effects of improvements in irrigation efficiency was first drawn to the attention of Australian water policy administrators in 2000, drawn to the attention of the then Murray Darling Basin Commission in 2002 and since its formation, on many occasions, to the Murray Darling Basin Authority. It is time this important hydrological issue was addressed properly, openly and transparently. A lay person would expect that the promised 2,750 GL return of MDB water to the environment would be a net, not a gross return. Most lay people would be shocked to learn that the value of this very large contribution of water to the environment could be reduced to zero by improvements in irrigation efficiency. Irrigation to produce food is overwhelming the largest global use of fresh water, our scarcest natural resource. It is responsible for producing 40 % of the globe’s food. This paper by Grafton and colleagues, published in Science tomorrow, is an important and timely ‘call to arms’ reminding us that we must get our water accounting correct if this is to be sustainable on both a global and local scale. The paper brilliantly illustrates that ‘point measures’ of efficiency, such as irrigation efficiency, are not adequate nor sufficient measures of natural resource sustainability on a catchment scale. Catchment-scale water accounting must be more comprehensive to provide the information necessary to sustainably manage catchments. As we endeavour to implement the historic Murray Darling Plan this paper illustrates that incentive and compliance measures using irrigation efficiency as a sole measure are not sufficient or adequate measures of catchment sustainability. If the plan is to be implemented sustainably for future generations we need to ensure that the compliance measures utilize the technology that is now available to adequately monitor water recharge as well as extraction and water use efficiency. The article by Quentin Grafton and others highlights that an exclusive focus on increased water use efficiency in irrigation results in more, not less water use. This paradox is not surprising. In fact, a paper I wrote for the Irrigation Australia Conference in 2000 was titled “Will improved water use efficiency deliver everyone’s aspirations?” Improved water use efficiency actually increases ‘demand’ for water by irrigators as they strive to capture the benefits of increased production capacity. Unless there is an accompanying mechanism of offsetting irrigator response, little or no ‘saved’ water will be available for environmental use. The simplistic notion that improved water use efficiency will free water for environmental purposes will not deliver. This is exactly what the Grafton article is saying, using examples from around the world, including Australia. The failure to adequately address this paradox during the implementation of subsidisation policy largely results from a chronic lack of understanding of regional connected water processes and a lack of understanding of irrigators and their businesses. When water extraction was capped in the Murray Darling Basin, its value increased, more effort was made to control and use it, irrigation area and intensity increased and hence demand increased. The previously “sloppy” system was not stretched to its limit, now it is. There is no easy fix for this, although the establishment of tradeable water markets certainly helps. Changing the rhetoric from an emphasis on “efficiency” to “productivity” will also help. Identifying and measuring the productivity of water in terms of product produced, environmental outcome or dollars generated is the result needed. Efficiency per se is a collateral benefit, not the primary objective.